Click the 'Login Form' menu item. Configure the settings you would like for your login form. Click the 'Insert into Post' button. You may insert the following shortcode on a page, post, or text widget to display a login form. This shortcode will display a login form on the front-end of your site. label_username: Change the label of the username field. label_password: Change the label of the password field. label_remember: Change the label on the remember me checkbox. label_lost_password: Change the text on the "Forgot your password?" link. label_log_in: Change the text on the login button. label_log_out: Change the label of the logout link. value_username: Insert a default value into the username field. value_remember: Check the remember me checkbox by default. username_placeholder: Set placeholder text in the Username field. password_placeholder: Set placeholder text in the Password field. class: Apply a Formidable Style or your own CSS class to the login form. If no class is specified, the default Formidable style will be used. class_remember: Replace the default classes on the Remember Me checkbox. class_lost_password: Replace the default classes on the Lost Password link. show_lost_password: Add a 'Forgot your password?' link to the login form. show_labels: Hide the Username and Password field labels. show_messages: Prevent failed login messages from showing in the login form. By default, messages will appear in the form when login fails. layout: Show the fields either horizontally or vertically. redirect: Redirect users to an internal page after logging in. WordPress security measures require that the redirected page is on the same site. slide: Set your form to be hidden and require a click to show it. style: Use Formidable styling on your form. This is on by default. Disable Formidable styling with style=0. If you'd like to redirect a user to a different page after log in, depending on where they started, you can do so using a custom link to the login page. Add the redirect_to param to the URL and set it to the page to which you want to redirect the user after log in. Follow the steps below to set the Style for your login form. Go to 'Formidable' → 'Styles'. Select the Style you would like to apply to your login form. Copy the CSS class for your Style. Add class="frm_style_sonaris-style" to your login form shortcode. Replace frm-style_sonaris-style with your Style's CSS class name. You may use the 'Login Form' widget to add a login form to your sidebar or footer. In your WordPress Admin, go to 'Appearance' → 'Widgets'. Drag the 'Login Form' widget into the sidebar or footer. Set the title, labels, styling, and other settings. If you don't want this login widget to display on all pages, you may install the Display Widgets plugin for additional widget settings. 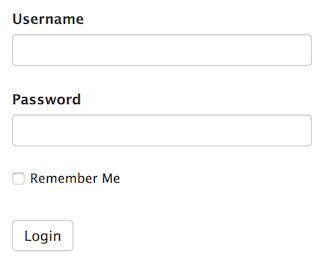 We recommend creating a Style that is specific to your login form. Follow the instructions below to create a Style for your login form. Open the "General" tab. Set the max-width to 600px. This can be adjusted as needed. Open the "Buttons" tab. Set the width to 100%. Adjust the button colors to match your site's colors. Don't forget to adjust the "Hover" and "Click" colors as well. Configure other style settings as needed. If you are publishing your login form with a shortcode, you can now set the Style to the one you just created.